Leaders working for a more just world tell their stories of community and possibility to The Heinz Endowments’ Grant Oliphant. "We Can Be" is The Heinz Endowments’ Grant Oliphant in intimate, candid conversation about big issues of the day with some of the most accomplished, caring and action-oriented individuals in the social change arena. Experience the often moving, sometimes funny and always inspiring accounts of how they came to believe that together we can be a more just region, state, country and world. 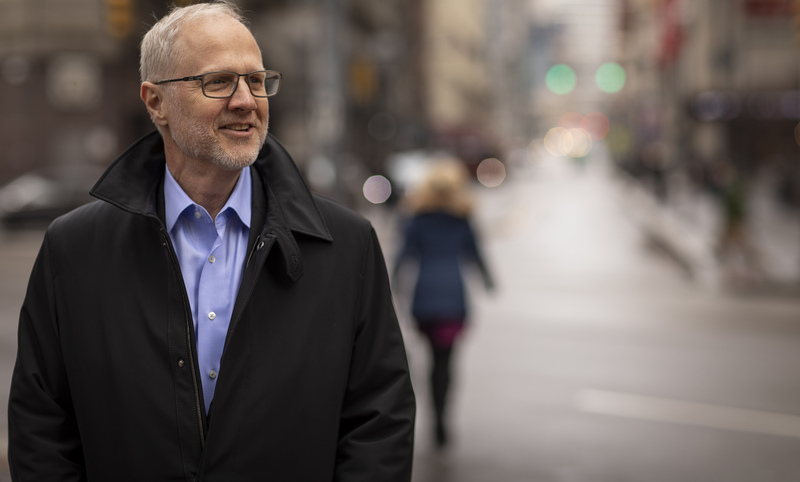 The Heinz Endowments is a Pittsburgh-based foundation that aims to create more just communities, and to model solutions to major national and global challenges. The Endowments focuses on advancing a sustainable future for our community and planet, successful learning outcomes for young people and their families, and a culture of engaged creativity for all. All across the Untied States, cities that grew out of the industrial age were founded on the strength of immigrants who provided power to steel mills, gave rise to majestic buildings and infused life into its streets and neighborhoods. While today’s immigrants encounter many of the same biases and obstacles that their predecessors faced, they have a champion in Change Agency Founder and Director Betty Cruz. Ms. Cruz joins The Heinz Endowments’ Grant Oliphant in a conversation about what it means to truly be a nation, a community, of We. Our nation, our cities, our neighborhoods were founded and fueled by the minds, dreams, art and hard work of immigrants, yet the climate for immigrants today is perhaps the most challenging it has been for decades. The national debate over DACA (Deferred Action Childhood Arrival) and migrant caravans in Mexico have brought immigrant issues to the forefront of the national conversation. It is out of this atmosphere - and a belief in the value and agency of every human being - that Change Agency was born. Cruz shares why Change Agency's time is now, how she finds hope in challenging times, the stories modern day immigrants and what she’s learned about herself through her own journey from Miami to the Midwest. We Can Be is hosted by The Heinz Endowments’ Grant Oliphant and produced by the Endowments and Treehouse Media in Pittsburgh, Pennsylvania. Theme music is composed by John Dziuban, with incidental music by Josh Slifkin.